Ali Fuat was appointed to the Ioanina Corps in 1912 and during the Balkan War he took part in the defense of Ioannina. In the World War, he fought against the Russians in the Caucasus and against the British in Palestine. In 1917, he was made a General. After the armistice, Ali Fuat Pasha came to Istanbul and established contact with Mustafa Kemal. He took an active part in the national resistance and although he was expelled from the army by the Sublime Porte, the Ankara government assigned him the command of the forces in the western part of Anatolia. When the Grand Assembly was opened on April 23, 1920, he was elected a deputy from Ankara. In November 1920, he left the command of the western front in the War of Liberation to İsmet Pasha and went to Moscow as the Turkish Ambassador to the Soviet Union. He signed the Moscow Agreement with the Soviet Union on behalf of the Ankara government. Ali Fuat Pasha returned to Turkey in 1922 and remained active in the parliament until 1927, when he decided to retire. He could not stay away from active politics for too long, he was elected to the parliament again in 1933 and he remained there until the military coup of 1960. 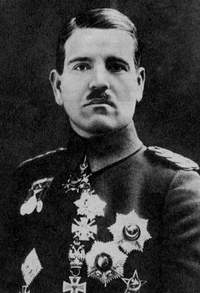 Ali Fuat Pasha passed away on January 10, 1968.